THE B-MOVIE NEWS VAULT: New DVDs & Blu-rays for 03/01/2016! Hello gang, and welcome to the first week of March 2016! This week, there's a handful of titles you definitely need in your collection, like THE SINFUL DWARF from Severin Films (which contains two versions of the film), Scream Factory's new Blu-rays of THE BOY and NARCOPOLIS, and the Blu-ray debuts of DEAR GOD NO! and STRANGE BREW! Looking to upgrade to the next step in high-def evolution? Well you're in luck because the first big batch of UHD (Ultimate High Definition) discs are now out, boasting titles like THE EXPENDABLES 3, PAN, ENDER'S GAME, MAD MAX: FURY ROAD (winner of 6 Academy Awards), and more! 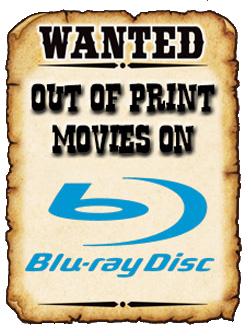 One definite must have for your growing Blu-ray collection is Grindhouse Releasing's new PIECES Blu-ray! This two-disc set is packed with extras, has two versions of the film, and comes with a limited edition soundtrack CD. And if you were super lucky to get your paws on early editions of this release, it also came with a cool PIECES puzzle! There's plenty of other crazy stuff to pick up this week (ZOOMBIES! ), so scroll on down to see the complete list!